With a great many physicians, private clinics, medical center and immediate care facility, and a 65-bed hospital with a 24/7 emergency room, Niceville residents do not have to go far to see a doctor, or otherwise care for their health. In addition, Niceville has health facilities for patients in need of rehabilitative services, skilled nursing, and assisted living facilities. 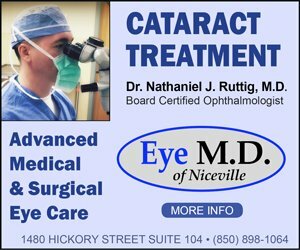 Dental care, eye care, chiropractic services, and therapeutic massage also are readily available in Niceville. White-Wilson Medical Center is one of the largest multi-specialty physician groups on Florida’s Emerald Coast. It has locations in Niceville, Fort Walton Beach and Destin. With over 70 physicians, White-Wilson Medical Center provides an array of health and wellness services, diagnostic screenings, and education programs to provide patients with advanced and comprehensive health care. White-Wilson Immediate Care in Niceville accepts walk-ins and same day appointments. White-Wilson Medical Center in Niceville is located at 2001 East Highway 20. Niceville Family Practice offers a wide range of services, such as preventive services, annual wellness exams, employment physicals, well child exams, school/sport physicals, and minor surgical procedures. 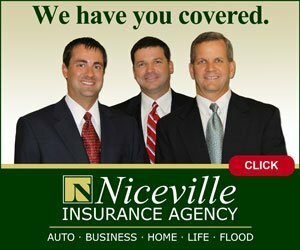 Niceville Family Practice is located at 4400 State Hwy 20 E., Suite 201 in Niceville (Bluewater).